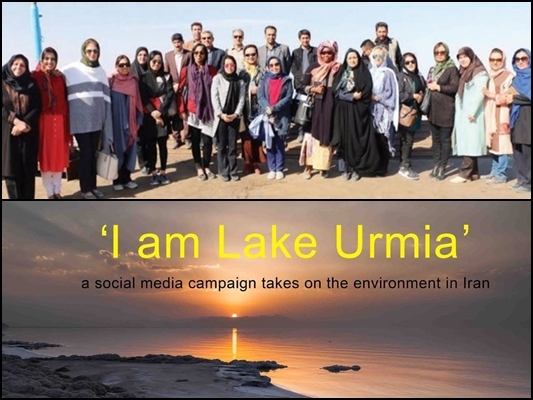 Wives of 12 ambassadors to Iran joined the “I’m Lake Urmia” campaign, which aims to collect one million signatures required by the United Nation to help restore the Lake. A few days ago, the wives of ambassadors of Malaysia, New Zealand, Hungary, China, Algeria, Tunisia, India, Indonesia, Cuba, the Philippines, Czech Republic, and Sierra Leone visited Lake Urmia in northwestern Iran and joined the campaign to announce their support for the Lake. The campaign has been launched since late August in social media, as reported by Mehr and covered by IFP. The trip was co-organized by Lake Urmia restoration program, Department of Environment, and Foreign Ministry, in a bid to improve interaction with countries worldwide, use other countries’ experience, attract tourist, and raise funds to save the Lake. Lake Urmia was once the largest lake in the Middle East and the sixth-largest saltwater lake on Earth with a surface area of approximately 5,200 square kilometres. The Lake has shrunk to 10 percent of its former size mostly due to damming of the rivers that flew into it and pumping of groundwater from the area.